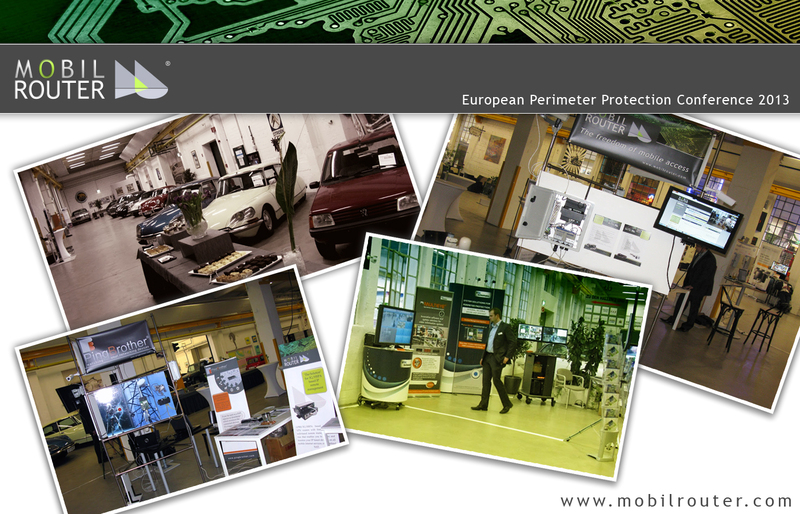 Mobilrouter and PingBrother were exhibited at the European Perimeter Protection Conference - organized by Umirs and Artec - in Nuremberg, Germany on 6 March. Based on the valuable feedback from prominent players of the industry both product lines are about to fill a gap in the security technology sector. PingBrother is a cost effective, industrial passive POE switch (PSE), that can work with a wide range of low voltage inputs and can distribute its input power to any standard or non-standard POE device. The POE output power can be fully managed either manually, remotely over the network, scheduled, or by its own built-in control system. It also works as an IP watchdog, or intervenes when there is a change in input voltage, current or temperature. Automatic log entries and/or email notification can be made about these events and responses. It is a great and cost-effective multifunctional tool for unattended network devices such as IP cameras, Wi-fi radios, VOIP devices and switches, especially those which have a POE support. By manually deactivating the POE function, PingBrother can control any non-POE device by its relay contact outlets.